15 June 2015 marks 800 years since King John sealed the Magna Carta in 1215. 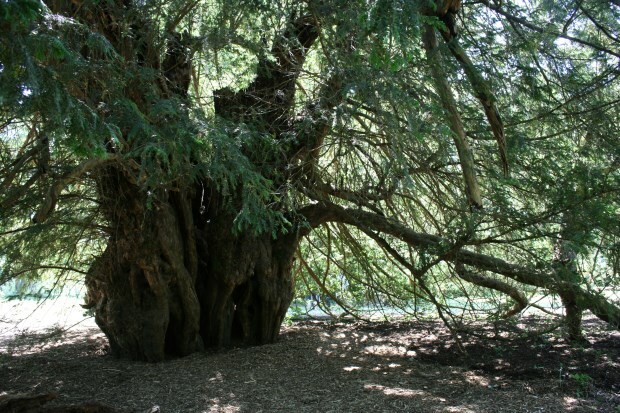 Some accounts say that this historic event happened by the Ankerwycke Yew, while others say it took place on the other side of the River Thames at Runnymede. 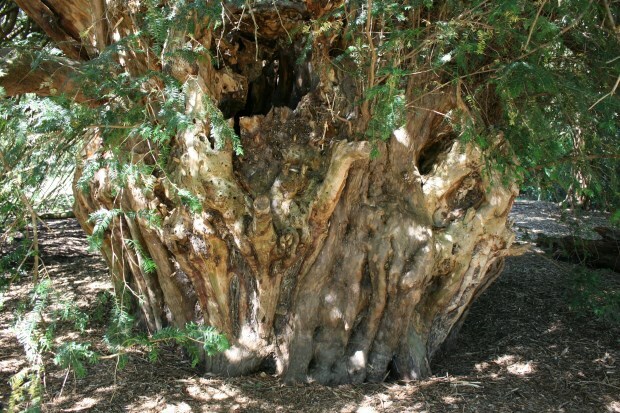 Either way, this exceptional tree, which is estimated to be around 2,500 years old, is a living monument to those historic events, and is also said to be the place where Henry VIII had his first liaisons with Anne Boleyn in the 1530s. The Ankerwycke Yew is close to the ruins of St Mary’s Priory and can be accessed by a short walk from the small National Trust car park. It’s not easy to photograph the whole tree, but I’ve added one showing a little more of the tree…. 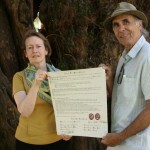 800 years after the sealing of the Magna Carta by King John, the Director General of the National Trust, Dame Helen Ghosh, has sealed an historic document at the same site, in a special ceremony to reaffirm its commitment to ancient and other veteran trees.